Lutheran Church for all generations." For more than 40 years, Central Lutheran Church has been blessed with a Foundation Trust – financial gifts and bequests graciously given to use for needs beyond normal budget expenses. Each year, a percentage of the interest earned is available to fund projects that will improve and perpetuate the mission of Central Lutheran. Funds are unrestricted and are allocated to areas of greatest need, and have supported capital improvements, mission trips, ad various ministries. Funds support people focused ministries approved by the Church Council and have promoted guest speakers, musicians, and special ministry events. Fund provides scholarships based on church and community involvement. Fund helps promote CLC’s ministries in the community and church. Fund helps send the youth of Central Lutheran to Luther Park Bible Camp. Fund support building and technology needs. Funds support non-profit ministries outside the walls of the church, and have benefited free clinics, food pantries, Lutheran Social Services and more. 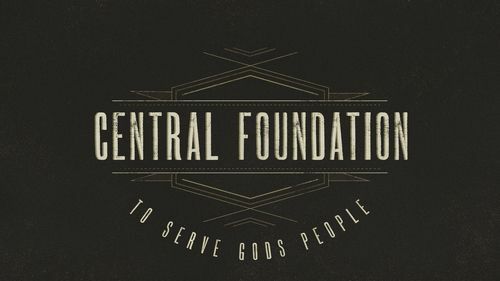 Central Lutheran Foundation Trust is governed by the IRS as a 501(c)(3) organization. To learn more about how you can donate to the foundation, lifetime and estate gifts for endowment, or other gifts, please contact any member of the board. Any gift to the Central Lutheran Foundation Trust is a gift that will give forever.